Carnival is celebrated throughout many South American cities and towns during the month of February and with it come the sound of drums to the Buenos Aires streets. For 2013, in Argentina, Carnival weekend officially takes place from the 9th-12th of February and the 11th and 12th are national holidays. In Buenos Aires different neighborhood murgas come out to parade the streets with drums and colorful costumes, meanwhile events are also being planned at the Parque Centenario. 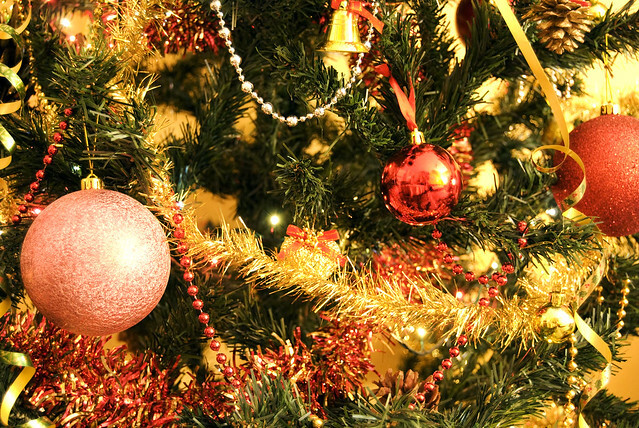 Below is a list of some of the parades and activities to look out for. At the Anfiteatro Eva Perón in Parque Centenario, the city government is organizing live Carnival related shows on Fridays throughout February. At the Centro Cultural Rojas there will be thematic film screenings about carnival from the 18th to the 22nd of February at 7pm and a live Carnival show on the 22nd of February at 9pm by Los Linyeras de la República Popular de la Boca. As the year progresses the city picks up its rhythm with the return of many a porteño vacationer, an array of cultural activities and carnival! Below is the list of events to start planning for! Carnival 2013: Expect loud drums and colorful costumes around different city neighborhoods as the murgas hit the streets on the 2, 3, 8, 9, 10, 11 and 12th of February. Also, on Fridays the 11th, 18th and 25th of February and on the 4th of March there will be carnival festivities in Parque Centenario. Davies Tennis Cup: 1st-3rd of February- Sports fans should hurry to get tickets for one of the city’s most awaited tennis tournaments of the year. Tickets here. Shakespeare Festival: 8th-16th of February- The city gets medieval with this festival that celebrates one of the most renowned playwrights in history. Theatre is of course one of the highlights but the festival also includes live music, the recreation of a medieval village, film screenings and a special bicycle adventure. More information here. Ultra Electronic Music Festival: 19th & 23rd of February- The famous international electronic music festival brings its beats to Buenos Aires with a lineup including AVICII, Dash Berlin, Armin Van Buuren and Carl Cox. Tickets here. February 24 to March 1, 2013- Crossing of the Andes- Mendoza. La Morada de Los Andes in Valle del Uco is organizing a once in a lifetime experience that combines adventure, culinary bliss and more at their annual crossing of the Andes by horseback tour. More information here. Jamiroquai: 15th of February. Starting at 10 pm this British artist will be making an enthusiastic Argie audience dance the night away at Club Ferro. Tickets here. Fatboy Slim: 16th of February. The renowned international DJ will be playing a special set at Pacha, Buenos Aires’s electronic mecca. Tickets here. Andrew Bird: 26th of February. The renowned multi-instrumentalist indie artist, who was once a part of the Squirrel Nut Zippers, will be staging a live show starting at 9pm and the trendy Palermo Club Niceto. Tickets here. Harún Farocki at the Fundación Proa. Av. Pedro de Mendoza 1929. 4104-1000. Traditional Argentine Figurative Art at the Museo Benito Quinquela Martín. Av. Pedro de Mendoza 1843, La Boca. 4301-1080. Papeles Modernos- from Toulouse-Lautrec to Picasso. Museo Nacional de Bellas Artes. Av. Del Libertador 1473, Recoleta. Contraluz- Juan Gatti- Sivory Museum. Av. Infanta Isabel 555, Palermo. 4772-5628. Margarita Paksa/ Massimo Listri/ Italian video art 2004-2012/ Lux Linder/Alejandro Somaschini/ Site Specific, Matías Ercole, Juan Malka and Kirsten Dosel- MAMBA. Av. San Juan 350, San Telmo. 4342-3001. Don´t miss the Patriot brunch at Hernán Gipponi Restaurant on the ground floor of Fierro Hotel. Other special Argentine cuisine menus will be offered for the occasion at some of the best restaurants in the city. Find a full list here. 25 de Mayo festivities will be celebrated at the traditional Feria de Mataderos where there will be folkloric dances, gaucho games, typical food and traditional crafts. Throughout the long weekend the Japanese Gardens will be celebrating different culinary customs of the Japanese culture. Av. Figueroa Alcorta and Casares, Palermo. From the 23rd-30th of May the Human Rights Film Festival will be showcasing a selection of over a hundred documentaries, animations and fictions with the theme of Identity at different cinemas around the city. Find the full program here. In the evening stop by La Peña del Colorado for some live guitar folklore and tango music by the talented trio Gorosito/Cataldi/de la Vega starting at 10pm. The famous percussion orchestra La Bomba del Tiempo will be celebrating their 6th anniversary on Friday and Saturday night starting 12.30pm at Centro Cultural Konex. Sarmiento 3131, Abasto. Breoghans Bar will be hosting a special 25 de Mayo party where there will be happy hour all night for those wearing light blue and white, traditional food and folklore music. Bolivar 860, San Telmo. On Saturday don’t miss the City Tango Dance Finals, which will be held in the afternoon at La Usina de las Ideas. Tickets must be picked up on Friday at Casa de la Cultura ( Av. De Mayo 575) from midday to 5pm. On Saturday at 8.30pm Chinese pianist Lang Lang presents Johann Sebastian Bach’s: Partita No.1 in E-flat major, Franz Schubert’s Sonata in B-flat major, D. 960 and Frederic Chopin’s twelve studios, Op. 25. at the Colón Theatre. Blues harmonica legend Jerry Portnoy, who was part of the Muddy Waters Blues Band and now plays with Eric Clapton, will be presenting a live show at La Trastienda starting 11.30pm. Tickets here. Join the special Bicicleteada de Mayo on Sunday and pedal your way around the city center with an enthusiastic crowd. The bike event kicks off at the obelisk on Av. 9 de Julio at 11am. The city continues to celebrate its different collectivities and this Sunday Syria is on the spotlight. Head to Av. De Mayo and enjoy traditions and typical foods from this Middle Eastern culture. Starting at 4pm the cumbia-tango fusion group Los Bandos will be playing at the Botanical Gardens in Palermo. Av. Santa Fe 3951, Palermo. If you’re looking for you party quota for the day then don’t miss the ska and reggae by Dancing Mood at Niceto Club from 9pm onwards. Niceto Vega 5510, Palermo. Brazil is the first destination that comes to mind when Carnival season arrives, however colorful festivities take place in most South American countries. Since carnival weekend is coming up we share with you some of the most effervescent alternatives in Argentina. Gualeguaychu, Entre Rios: The Gualeguaychu Carnaval festival, in the province of Entre Rios to the North of Buenos Aires, is the most popular in Argentina. 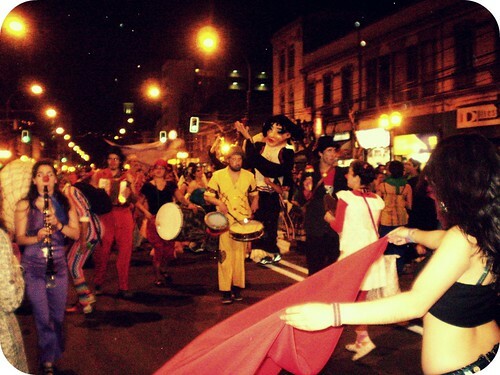 It is similar to the Brazilian Carnival and also includes a spectacular parade with choreographies, and fancy costumes. 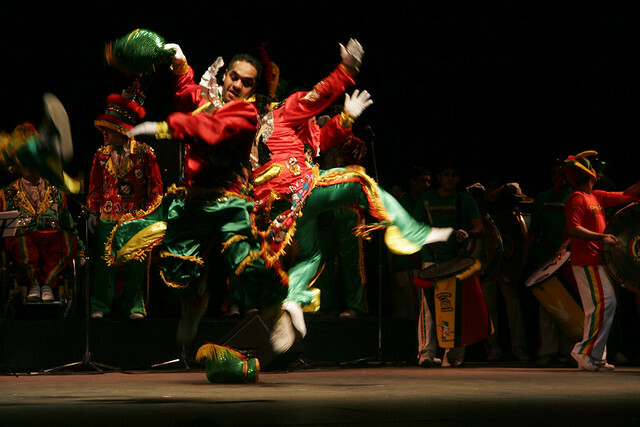 Corrientes: In the Corrientes province, which limits both with Entre Rios and Brazil, the carnival is also celebrated with big productions and a lot of street dancing. Some of the best places to go for the Corrientes festivities are Paso de los Libres (where there is a bridge connecting to Brazil), Goya, Santo Tomé, Esquina, Monte Caseros, Curuzú Cuatiá and Empedrado. Salta: The Salta carnival is a showy display of dancing and feathers but also of indigenous traditions related to harvest rituals. Water is one of the protagonists of the Salta festivities as it represents purification. 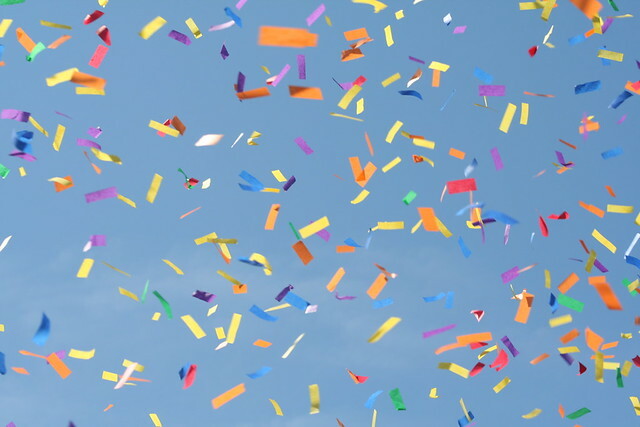 It is not uncommon to end up soaking wet from unexpected water filled balloons and buckets. In the Calchaquí Valley, after the water games and street festivities, “carnavaleros” gather in someone’s house to have abundant lunches. 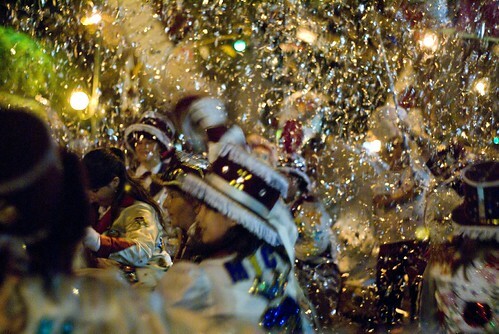 In the evening dancing takes place at parties where flour and confetti is thrown. Finally, the carnival is buried on a Sunday. A hole is dug in the ground and the pullcay, a doll that symbolizes carnival, is buried whilst people sing, dance and cry. Jujuy: The Jujuy and the Bolivian carnival have a lot in common. In the Quebrada de Humahuaca there is a predominant representation of demons that animate the festival. Costumes including masks with horns are accessorized with necklaces made of fruits, onions, and goat cheese, amongst other edibles. These demons also carry traditional instruments and go around the city enticing the public to dance and participate. Finally the carnaval is buried in the afternoon on the outskirts of the village. Since they only like participation from those who are culturally linked with the celebration it is difficult to learn where the burial will occur. At the burial they dance and reverence the symbolic devil, surrounded by offerings of fruits, coca leaves, and chicha. Once the burial is finished those dressed up as demons quickly change back into their clothes. In other Argentine provinces there are also Carnival festivities, but not to the same degree of those previously mentioned. In Buenos Aires it is common to run into murgas, learn more about them here. During the month of February the city begins to repopulate as the beach season slows down. February is also the month of Valentines Day, which is not a typical local celebration but has become an increasingly popular festivity with many options for happy couples. Carnaval is also an important celebration in South America, and takes place from the 18th-21st of the month. 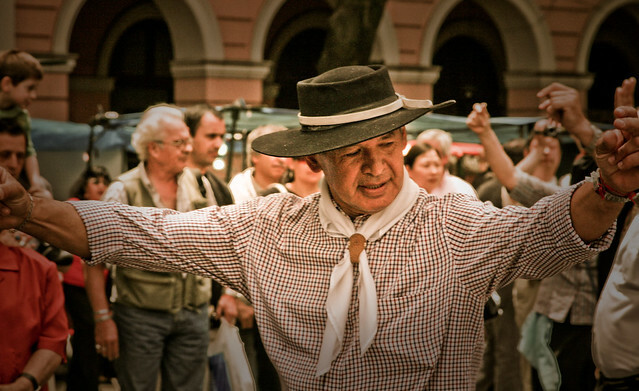 In Buenos Aires, many neighborhood murgas (street musicians and dancers) form to celebrate it and it is not uncommon to come across them in neighborhoods such as Almagro, Villa Crespo and Palermo on weekends. Other options for the Carnaval weekend are to take short trips to the north of the country, or to Uruguay where the festivity has a more important role in the culture and thus bigger celebrations. As it is still summer there are still plenty of free cultural activities until the 18th of February held in the local parks, including drive-in cinema at the rosedal, theatre, poetry and live music concerts. During this month the city will also be receiving international artists Selena Gomez and Alpha Blondie, and hosting the Summer Blues Festival. More information here.